Back Up Your Data - before you begin any year end process, be sure to execute a complete back up of your database. You should also test the back up to ensure it was successful and the data is readable. The only way to “reverse” year end processing is to restore your data from a backup. So do it now! Check Your Version Number - closing procedures can vary depending on the version of Sage 300 (or “Accpac”) you’re currently running. Check your version number and service pack before starting year end. Create a New Fiscal Calendar - Sage 300 allows you to begin entering transactions for the new year without closing out the current year. Simply create a new fiscal calendar in Common Services > Fiscal Calendar and then click the New icon. If the period date ranges are correct, then Save the year. Do this before entering transactions for 2017. General Ledger Closing - While it’s a good idea to close modules in a timely fashion, your General Ledger can remain open as long as you need while awaiting final processing (or audit adjustments) in other modules. 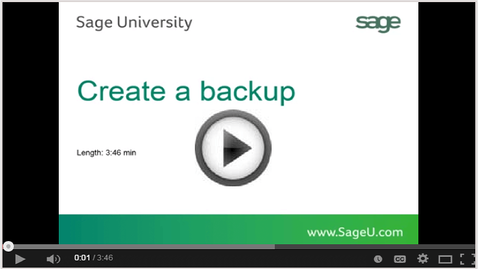 Check Data Retention Settings - Sage 300 will retain historical data based on your software version and the settings you’ve configured in each module. So it’s a good idea to review all module and system settings to avoid the unintended loss/purge of important data during year end close. In particular, check GL Options to see how many years of history your system is set up to retain. Remember, We’re Here to Help - As you begin year end closing procedures and prepare to start fresh in 2017, be sure to contact us if you need assistance during this important time of year. As your software and technology partner, we’re here to help! Sign up for the Year End Processing with Sage 300 webinar. Get ready for the new fiscal year! Click the Start button, highlight Programs, then Sage 300, Tools, and click Database Dump. Type the password for the Admin user in Sage 300, then click the OK button. Click to highlight the database that you want to Dump. Click the Set Directory button to enter the location where you want to save the files. Click OK. You'll return to the Dump Sage 300 ERP Data screen. Click the Dump button to proceed. A confirmation message will appear. Click OK to continue. A Dataset Description screen will display in which an optional description of the database may be entered.. Enter a description, then click Done. Here’s a collection of tips and video tutorials that we think will help you with a smooth year end closing process and to get you ready for a fresh start in 2017. This collection of video clips demonstrates various year end closing procedures in the General Ledger. For companies running the payroll module, here are answers to a couple of frequently-asked questions along with helpful instructional videos to help prepare for year end. When do I close the year? You never close the year. Continue processing payrolls as you do all year long, entering period-end dates in the new year as you cross the calendar year boundary. After you have completed all of the previous year’s year-end processing and made backup copies of the data, you can run Delete Inactive Records to remove terminated employees and other obsolete information from your data. Can I produce W-2s (U.S.) or T4s (Canada) after processing payrolls for Jan 1? Yes. The program allows you to start processing payrolls for Jan 1 and later produce W-2s/T4s for the previous year without any additional procedures. When you produce W-2s/T4s, select previous year as the Payment Year. Ensure the option Allow Posting to Previous Years is selected. Create a new GL account with the correct Account Type (Income Statement). Create a GL entry to transfer the balance from the old account (Balance Sheet) and into the new Income Statement account. Select period 12 and the fiscal year in which the entry is intended to be posted. Mark the old Balance Sheet account as Inactive so no additional entries can be posted to this incorrect account. 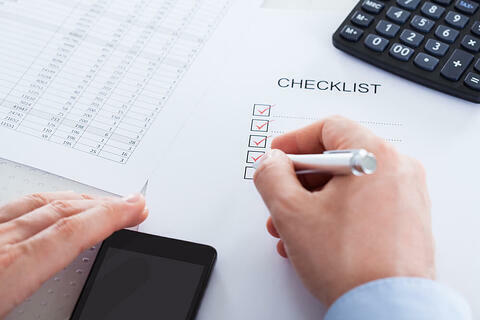 Repeat steps 2 through 5 for each account that was set up incorrectly as a Balance Sheet account. Be sure to Contact Us if you need help with this or any other issue with your Sage 300 software. Starting with Sage 300 Version 6.0, you have the ability to lock or unlock fiscal periods individually for each module (in versions prior to 6.0, you can only lock or unlock all modules at once). This capability in Sage 300 makes it easier to lock down modules in the proper sequence and prevent unexpected errors during year end processing. Wednesday, December 14, 2016 at 11:00am PST / 2:00pm EST.